Approx. L 10" x W 10" x H 10"
Are you sick of your little sister rummaging through your things and stealing those clothes that you haven't worn in a bit? 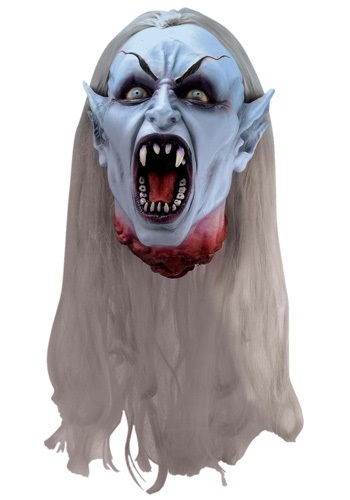 Well, hang this Gothic Vampire Head in the back of your closet. She won't be able to complain because she shouldn't have been there in the first place. That blouse you wear only once a year is going to be safe for a good long time now. Well, if your sister keeps on having nightmares maybe you ought to give her that shirt. That was kind of mean. Our idea, our fault. Or maybe you should just display this head as your latest conquest this Halloween. Your neighbors are sure to be impressed. By day you're a mild-mannered (insert job title here). By night you're a vicious vampire hunter, stalking your prey with a supernatural hatred. Creatures of the night beware. This head is ten by ten inches. It has gnarly looking teeth, grey-blue glassy eyes, and some wild hair. 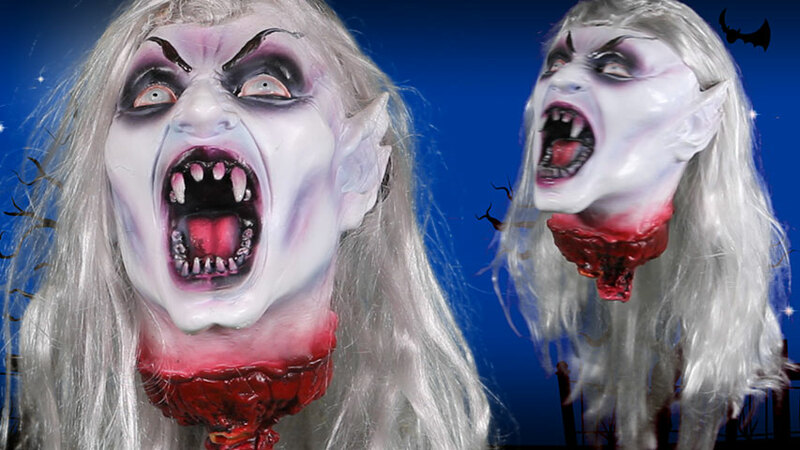 Whether it's your neighbors or your little sister, this vampire is sure to send shivers down any onlookers spine!